At Flourish Travel, we celebrate travel, because experiential journeys enrich your life. We work as your partner to simplify travel planning and elevate your customized travel experience. Knowing that time is your most precious commodity, we maximize every second, so you can focus on savoring moments and creating memories. Atacama Desert or touring the Louvre, your travel experiences should provide transformative benefits and improve your well-being, creativity and productivity. Our process starts with a complimentary consultation. We then take you through a simple, six-step process — imagining, creating, curating, anticipating, experiencing and reflecting. Together we craft and deliver the trip you always imagined, enabling your mind, body and soul to flourish . . . beyond expectation. Stacy has helped our family create the most amazing and memorable vacations around the world. ... Each one has been more than just a family vacation. Like many families with teens and busy lives going in different directions, these experiences have allowed us to re-connect and spend quality time together while creating lasting memories. 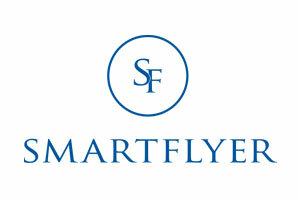 We are an affiliate of SMARTFLYER, the industry’s leading trendsetter and taste-maker in travel, and member of Virtuoso, the most esteemed consortium of experience-providers, hoteliers, and specialty service vendors in the world.